Corrective jaw surgery, also known as orthognathic surgery, is intended to correct a wide range of minor and major facial or dental irregularities. Orthognathic surgery is performed routinely in our office as a way to realign jaws and teeth, and improve such critical functions as chewing, breathing, and speaking. While some patients seek out this surgery for aesthetic purposes, the major goal is to restore the function of your jaw and achieve proper balance to your facial structure. Who could benefit from corrective jaw surgery? People who benefit from orthognathic surgery include those who have an uneven bite due to misaligned teeth and/or jaws. Development of the jaws and facial structure is a slow and gradual process. During this long process, the upper and lower jaws may grow at different rates and potentially cause a myriad of problems. Misalignment of the jaws can inhibit patients from properly chewing their food, hamper their speech, and affect their breathing. A significant asymmetry of the jaws can also lead to other emotional and health issues. These conditions can be caused by a discrepancy in the growth rate of the upper and lower jaw, but also be the result of trauma to the face or a congenital condition. 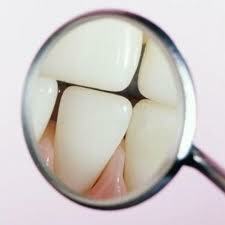 If just the patient's teeth are misaligned, Orthodontics alone may be enough to correct the problem. 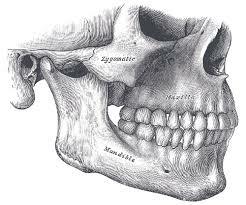 However, when the concern is that the jaw is misaligned, orthognathic surgery may be needed to correct the problem. Your dentist, orthodontist, and oral surgeon will work together to determine if you are a candidate for orthognathic surgery. Before any treatment begins, a thorough examination with facial measurements, photographs, x-rays, bite recording, and dental impressions will be conducted. Your dentist’s job is to maintain your overall oral health. The orthodontist helps align your teeth before corrective jaw surgery and makes final adjustments after the procedure. Our job, as oral surgeons, is to identify and perform the appropriate corrective jaw surgical procedure. During the consultation process, we encourage you to ask any questions you have regarding the surgery, recovery and follow up care. Correcting a misaligned jaw is a multi-step process, but the end goal is to leave the patient looking and feeling their best. The goal of orthognathic surgery is have your jaw and teeth perfectly aligned.